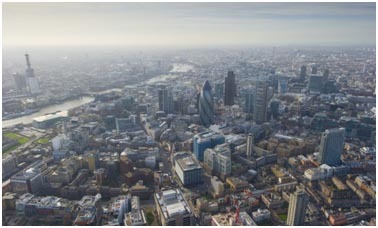 BSE 3D have been employed to prepare the building services, energy and sustainability strategies for the re-development of an important part of The Minories, London with ambitions to improve connectivity and permeability of the urban fabric around the site for local community, regular users and casual visitors. Working with the project Architect, ACME and Structural engineers AKTII we are working to improve the visual appearance of the site and provide consistency in massing and materiality. 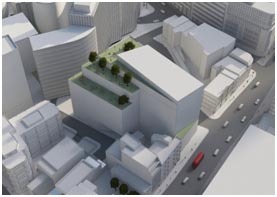 The scheme design includes for an energy centre that will power a new hotel, large office block, data centre and residential tower. BSE 3D have carried out complex energy modelling and heat recovery designs that will allow waste heat to be captured and re-used around the site for heating in the residential and office and hotel properties. The scheme is looking to provide meaningful public spaces to ensure that the setting for the new development is enhanced with high-quality public amenity. The lift design has proved key to improving the efficiency of the main core offering lift destination control for the office, residential and hotel to improve destination time and reduce the numbers of lifts. The scheme is currently being assessed by our in house Accredited BREEAM professional and the energy team with a projected ‘Excellent’ award. For more information contact us today by filling in the form below.